Join us at 1pm on Sunday, May 13th for a very casual 0.5 MILE, or, 1 MILE kid-friendly (and Family approved!) Root Beer Run!!! Hosted at one of the most beautiful Parks in Minneapolis: Boom Island Park! 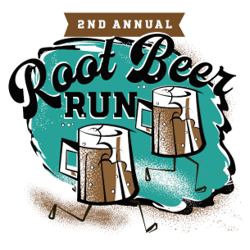 The event is coordinated in partnership with People for Parks, and will include so much more than just a kid-friendly fun run: Free Root Beer, Inflatable Jump House, Kids Arts & Crafts, Photo-station, and more! 100% of all registration fees go directly to People for Parks! Join us for a very casual 5k-ish fun run on Arbor Day, as part of the Brewing a Better Forest & Minneapolis Arbor Day event being held on Friday, April 27th 2017 - Dr. Rev. Martin Luther King, Jr Park in South Minneapolis. 100% of all registration fees go directly to Brewing a Better Forest, a non-profit dedicated to planting trees in support of greener parks & streets in Minneapolis! Designed to showcase the many great breweries & neighborhoods of Minneapolis/St. Paul, the MN Brewery Running Series offers a variety of causal 5k walk/jog/run courses throughout the year. The best part? All courses finish with GREAT beer at local breweries throughout the Twin Cities! We walk/jog/run to celebrate life, health & happiness! All the while raising money for a local nonprofits!